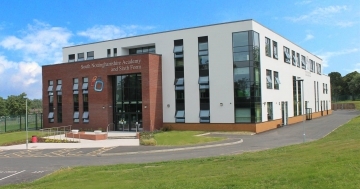 Welcome to South Nottinghamshire Academy – a vibrant and thriving school at the heart of the communities of Radcliffe on Trent, Cotgrave and Shelford. Choosing the right school for your child is one of the most important decisions you will make on their behalf. We believe that all students have a right to attend a school that is ambitious for them and will strive to ensure they achieve the very best that they can. 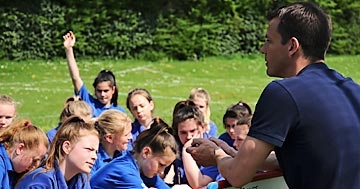 Our ethos is built around ‘Pushing our boundaries to achieve more’ which is underpinned with the highest expectations of what each student is capable of achieving. In 2018, SNA students once again secured some spectacular outcomes and the Academy secured very strong GCSE results. Our Progress 8 score was +0.24 which means that all of our students do nearly a quarter of a grade better in all of their subjects than similar students at other schools. 82% of students achieved the Basics 4+ (English and Maths at grade 4). 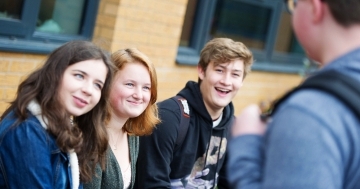 Equally as successful, at A Level, 85% of students gained A*-C grades and 56% gained A*-B grades. We passionately believe that in order for students to reach their academic potential, they must experience the highest levels of individual care, guidance and support. Within a welcoming and supportive environment, we provide a stimulating and engaging education where all students can flourish and succeed. In September 2016, we moved into our brand new £10 miliion school and in October 2018, our £1.2 million sportshall project will be complete. These have provided the school community with a long lasting, modern day facility that has enhanced students' educational experience. In 2016, we also joined Redhill Academy Trust and we have already seen the positive impact that this partnership has made. And in February 2017, Ofsted Inspectors visited us and confirmed that the school continues to be at least 'Good' in all areas of inspection - the second highest rating. 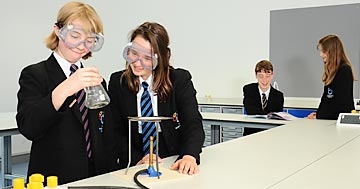 We pride ourselves on our knowledge of every single student and ensuring that students are challenged in their learning but enjoy and feel safe as part of our school community. To see for yourself what the Academy can offer your child, please come to one of our Open Days or make an appointment to visit us at a convenient time. We have a school to be proud of and, for everyone involved with South Nottinghamshire Academy, a very exciting future lies ahead.